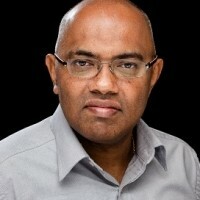 Tyrone Fernando, obtained his bachelor of engineering with honours and the degree of doctor of philosophy from the University of Melbourne in 1990 and 1996 respectively. In 1996 he joined the School of Electrical Electronic and Computer Engineering, University of Western Australia, where he is currently a Professor. His research interests are in power systems, renewable energy, functional observers and state estimation. Tyrone Fernando research interest is in Power Systems Dynamics and Control, Renewable Energy, Functional Observers, State Estimation, Circuits and Systems, Control Applications in Biomedical Engineering.